Like many things in life, my start as a romance writer sprang from a combination of love and money. I had a love of romance—and I needed money. When I started writing, my husband and I were both badly paid assistant professors. And to make it worse, I had huge student loans! I wanted a second child, but my husband disagreed. “We can’t afford a second child,” he told me over and over. I wrote Potent Pleasures in a desperate bid to grow my family. When I finished the manuscript, I sent a letter describing my book (including its hero, who had annulled his first marriage on the grounds of impotence) to five literary agents. Four of them winged back to me with notes like “This will never sell” scrawled on the front. The fifth asked for the whole manuscript. A few months later, a bidding war among publishers erupted. The final offer was just over my student loans; our daughter was born around nine months later. After that, of course, the story becomes more complicated. I actually had to write three romances to earn that advance. By the end of three romances, I was so in love with writing that I just kept going… to my husband’s great relief, I didn’t have a child per book! 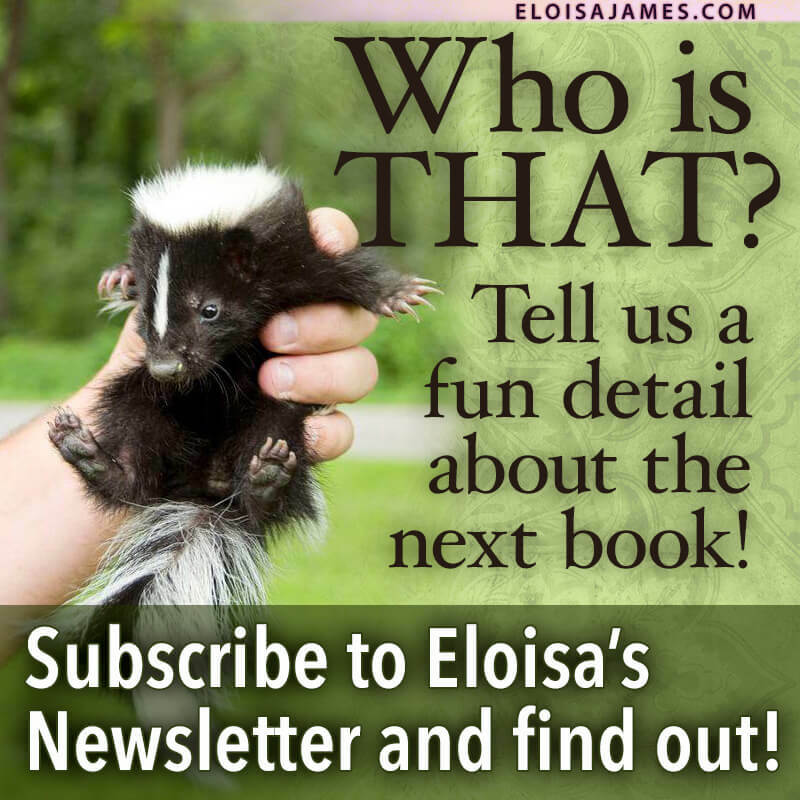 Eloisa was featured in the Wall Street Journal with “The Hidden Life of a Romance Writer.” Watch Eloisa’s lovely video about her “double” life below. Read the full Wall Street Journal article here.